Hey, droids and jawas! Associated Geekery Episode #170 is here to talk some Star Wars! 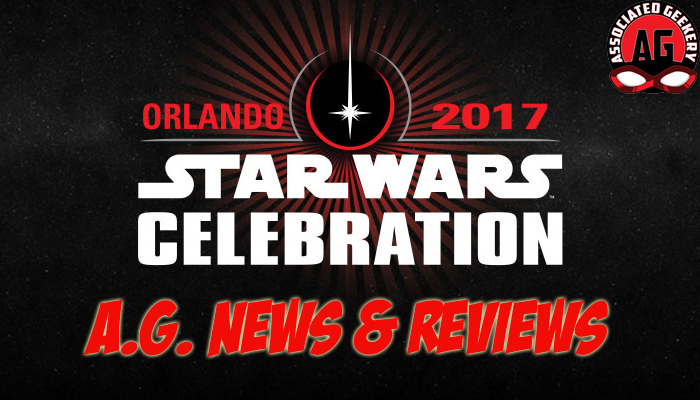 Doc & Ryan were not in attendance for Star Wars Celebration 2017 in Orlando, Florida, but with all of the news coverage and first hand reports, it almost like they were! So, come join us as we banter back and forth about some of our highlights and lowlights from what we’ve heard from the greatest Star Wars convention of the year! Also, we’ve got recommendation sign! The Masks RPG and MST3K season 10 on Netflix! Be the first to comment on "Associated Geekery Episode #170"